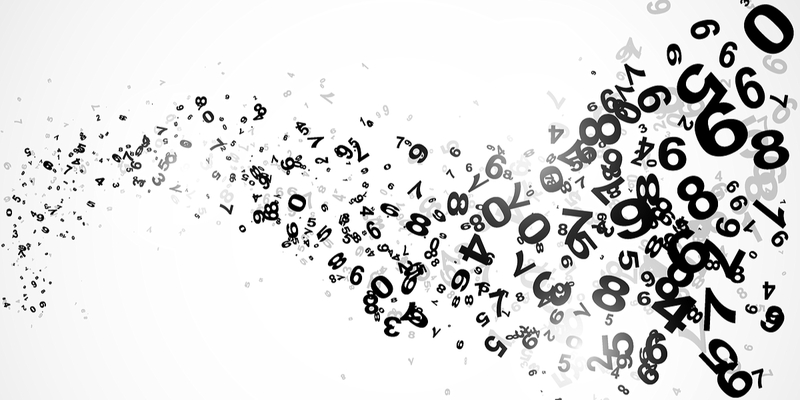 Is innumeracy America's biggest hidden problem? You've probably heard that America has a hidden illiteracy problem; millions of Americans can't read at all, while millions more can only read at an elementary school level. But I think there's a deeper, more common, and more insidious knowledge problem that faces America. Innumeracy, or numerical illiteracy. Innumerates can't calculate the value of a 15% off sale. They can't split a lunch bill with two friends, let alone calculate the tip. It should go without saying that innumerates can't intelligently decide between two mortgages, or two investment plans, or two car loans, or even differently-sized boxes of cereal. I think we can blame innumeracy for untold human suffering -- for the last great recession, for America's struggle to remain competitive in the global marketplace, and numerous other social ills. It's hard to quantify the problems of illiteracy or innumeracy (irony intended), but government statisticians have tried. In the last large study conducted back in 2003, the U.S. Department of Education's National Center for Education Statistics found that some 30 million American adults, or about 14 percent, had "below basic" word skills, meaning they were incapable of completing simple, everyday literacy activities, like reading instructions. A similar study had been conducted 10 years earlier, and the numbers were flat. That's alarming. It suggests no progress is being made. But the innumeracy epidemic is far worse. In the same National Assessment of Adult Literacy completed in 2003, researchers who asked a large sample of adults a series of carefully-crafted questions found that 22% of Americans had "below basic" quantitative skills. In other words, there are 50% more Americans who can’t handle basic math than can’t handle basic word skills. As the questions on the test got harder, fewer Americans answered correctly. Only 13% of Americans got an "A" on the test, denoting them "proficient" in math. That meant they could calculate the yearly cost of a life insurance policy using a table that gave the monthly cost for each $1,000 of coverage. I’d call that a basic calculation for participation in the world of personal finance; and only about 1 in 7 Americans could pull it off. Calculate the cost of a salad and a sandwich, using prices from a menu. Let me repeat that: nearly one-quarter of American adults were stumped when asked to add up the cost of lunch, or what their pay would be. This is a national scandal! Actually, the real scandal is that it's not much of a scandal at all. The term innumeracy was coined by a mathematician named John Allen Paulos who published a book with that name in 1988. After pointing out the horrible consequences of Americans being horrible at math (compared to the rest of the developed world), he made perhaps his most important point of all. Americans aren't disgusted by this. Many think it's funny, even charming. The same people who cringe when words such as “imply” and “infer” are confused react without a trace of embarrassment to even the most egregious of numerical solecisms. I remember once listening to someone at a party drone on about the difference between “continually” and “continuously.” Later that evening we were watching the news, and the TV weathercaster announced that there was a 50 percent chance of rain for Saturday and a 50 percent chance for Sunday, and concluded that there was therefore a 100 percent chance of rain that weekend. The remark went right by the self-styled grammarian, and even after I explained the mistake to him, he wasn’t nearly as indignant as he would have been had the weathercaster left a dangling participle. In fact, unlike other failings which are often hidden, mathematical illiteracy is often flaunted. (People say) 'I can't even balance my checkbook. I'm a people person." It’s not cute, funny, or even mildly amusing that people are bad with numbers. It’s a national epidemic. Sure, it’s important to note that people in the test above didn’t have access to calculators when trying to answer those questions, and perhaps technology could have saved them. But that leads to my next point. People who are afraid of numbers have a really bad habit of looking to others for answers. That means they look their cell phones, or to car salesmen, store clerks, and mortgage brokers for answers. They surrender personal responsibility, and a little of their own autonomy, to get the answer. Many times, honest actors give them the right answer. Many times, they get cheated as easy prey. And at other times, they cheat themselves. A person who can’t figure out if they have enough gas to get to the next gas station is probably going to be bad at calculating if they have enough money to make it to the next paycheck, or if they will be able to raise their income enough to afford an interest reset in an adjustable rate mortgage. There been a lot of jovial criticism of math – and in particular, statistics – during this past Presidential election season. Yes, polls have a problem. But the bigger problem is ignorance of what they mean. Nate Silver, of FiveThirtyEight.com, variously gave Republican candidate Donald Trump a 15-35 percent chance of winning the election. Many folks mistook that to be 0 percent. That’s a terrible misunderstanding of the way odds work. After all, Trump’s odds of winning at the end were roughly the odds that Ichiro Suzuki would get a hit in his heyday. Paulos recently pointed the folly of this, using an old analogy. “Weather forecasts of only a 20% chance of rain are not invalidated if it rains. Likewise for polls predicting 20% chance of Trump victory,” he Tweeted, trying to explain, yet again, what the numbers really mean. Instead, the reaction to statistics around the election has been to make fun of the mathematicians. Do so at your own peril. You will probably lose a lot of money at a poker table to someone who is good at statistics some day. So what can you do about innumeracy? First, admit the problem. Think back to the last time you had to split a lunch bill with friends. Did you resort to pulling out your cell phone? Did you just throw a $20 on a table and call it good? It’s one thing to be illiterate or innumerate; it’s another to not realize your limitations. If you are one of these “below basic” innumerates, know your flaws, and get help. But even if you think you are pretty good at the basics, don’t tolerate innumeracy in yourself or your friends. Most of all, stop using the language of innumeracy. Stop accepting that your friends are “word people.” Stop engaging in what Paulos describes as having a “perverse pride in mathematical ignorance.” Don’t revel in it. Don’t joke about it. And most of all, don’t cede responsibility to banks or brokers or computers or even your spouse for getting the math of your life right. Bob Sullivan is an award-winning journalist who focuses on personal finance and consumer fairness and protection issues. Can you still build credit when your credit is frozen?